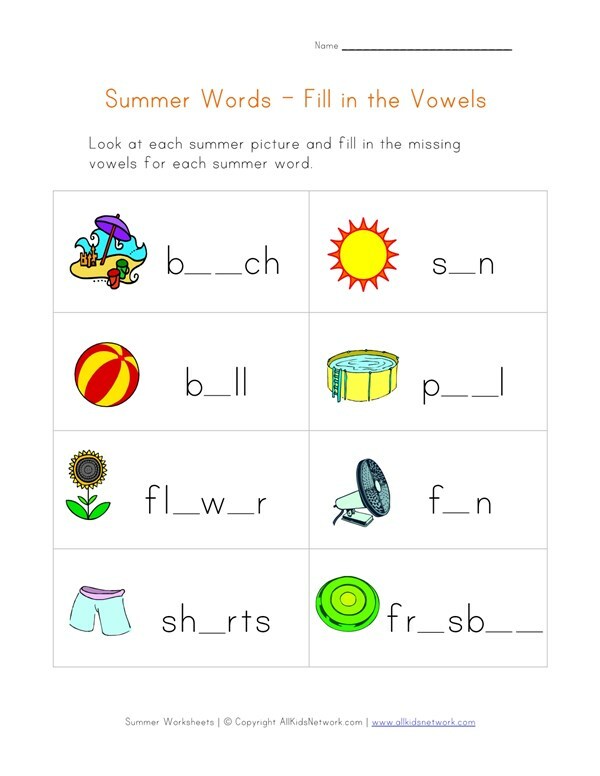 Have fun with this printable summer missing vowels worksheet for kids. 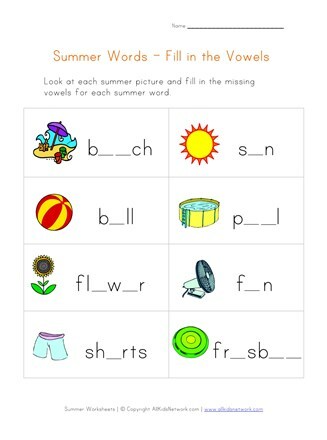 Look at the summer pictures and then determine the missing vowels in each summer word and write them on the lines provided. This is a fun and educational kids activity that will help children practice spelling. Click the image or link below to print this worksheet and make sure to check out the rest of our summer worksheets.